Another fine and extremely well researched work by Antony C. Sutton. An expose' of the people and forces behind the takeover of the US economy by the Federal Reserve system, on behalf of the oligarchs. A must for anyone interested in the inner workings of US politics and economics, and the concealed reasons for current events. 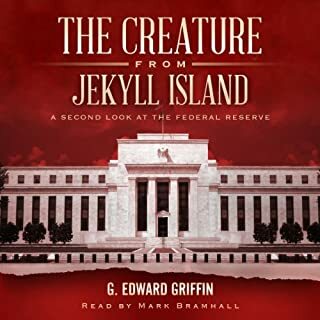 This is the first audiobook that details hour by hour the events that led up to passage of the Federal Reserve Act of 1913 - and the many decades of work and secret planning that private bankers had invested to obtain their money monopoly. ©1995 Antony C. Sutton (P)2014 Dauphin Publications Inc. 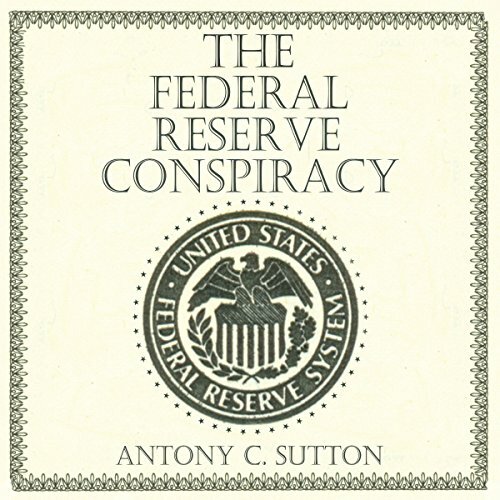 This book gives a very well-researched review of the Federal Reserve's origins. The facts presented here are crucial to understanding the politics and economy of the United States. That said, the book is too terse, seeming in retrospect more like a glorified essay than anything else. The narration tends to be dry and rather mechanical, though not painfully so. I would like to have seen more material on the history of the Fed subsequent to its establishment, but, alas, this book does not provide it. Despite its brevity, I definitely urge anyone who has not done so already to give this book a listen. The author manages to speak truth to power in a careful, measured tone. Thank you Audible, for allowing us access to this work. It may be a generation old, but the story is still timely and relevant. A clear, concise summary of how powerful bankers have taken control. this work will change your point of view on history and how you interpet today's news. most importantly, it will help you understand the future. arm yourself with understanding, removing the filters of misdirection. 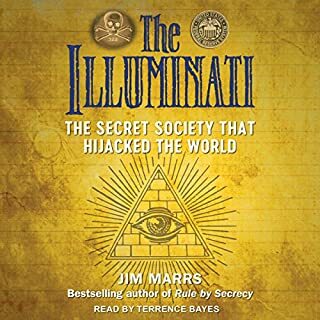 This short book and audiobook covers what the author feels is the conspiracy of the creation and existence of the Federal Reserve Bank. 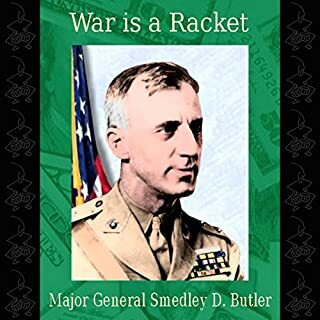 He provides numerous examples of the sneaky and underhanded tactics used in making the bill introduced and passed by Congress in 1913. Major opposition was suppressed and the bill was signed in 1913. The "facts" are quite disturbing and impressive. I will let the reader decide for themselves. Although somewhat technical, it is still an interesting read. The audiobook was a great companion. 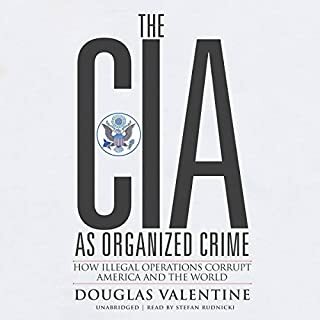 This is your standard book defending the revisionist history of the Federal Reserve Bank as a conspiracy against the American people. Unlike the massive CREATURE FROM JEKYLL ISLAND, this book has the virtue of being short enough to finish in one week. The listener will learn - sorry, be told lies about the First Bank of the United States and the so-called controversy between Jefferson and "the money power" (chap. 2), Andrew Jackson, 'the last anti-elitist president" (chap 3), the "socialist manifesto" of Teddy Roosevelt (chap. 4), Marx's manifest (chap. 5), Abraham Lincoln, the "last president to fight the money power" (chap. 6), before one is presented with any relevant account of the events immediately leading up to the events of the 1913 Federal Reserve Act. 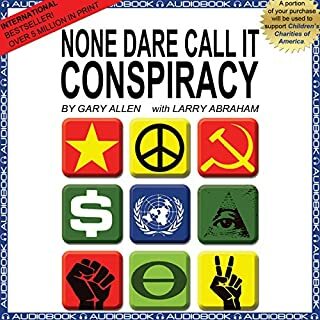 While it may be interesting to some to hear just what conspiracy theorists believe, there is not enough evidence presented in this volume to justify the book's thesis. 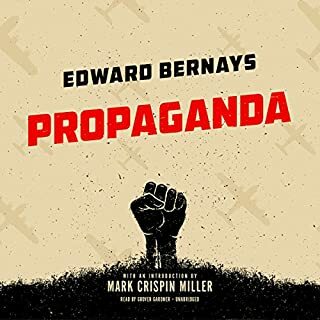 The quality of this audiobook is excellent! Also, the topic is truly important for all of us. I personally have supported every effort to have the Federal Reserve audited. If this were accomplished, there is a near 100% chance that the Fed would end, and we would certainly all be better off for it. Loved it. A very good book for learning about Karl Marx and the way out government is run. The story in this book would be a total eye opener for 90% of the country. The Fed has completely taken control over most nations and it’s people via control of the currency. Excellent book!! Content was so so, but what really makes this terrible is the way it is read.